Almost daily, I have clients who mistakenly use the terms Medicare and Medicaid interchangeably. These programs — other than both starting with the letter M and dealing with health care — are completely different from each other. It is important to realize the differences between these programs in order to fully understand the financial impact that the need for care will have on a family and their finances. 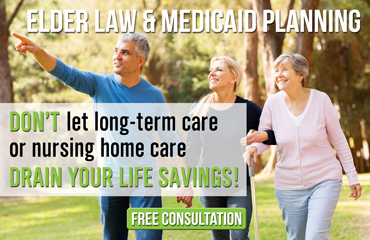 In order to qualify for Medicaid, you must be age 65 or over or disabled. However, there is also an asset test that must be met for eligibility, which does not exist for Medicare. This asset test requires that the Medicaid recipient have less than $2,000 in countable assets. You do not need to be eligible for Medicare in order to be eligible for Medicaid, or vice versa. In order to be eligible for Medicare, you must be either age 65 or older, or declared disabled by Social Security for a period of two years or more, with a few exceptions. You or your spouse must also have paid into Medicare for at least 40 quarters. In the event that the potential Medicare recipient is a disabled child with no work record and therefore no record of having paid into Medicare for 40 quarters, the work record of one of the child‘s parents may be used to establish eligibility. Virtually everyone who is age 65 or over is eligible for Medicare Part A, and almost all of those people also voluntarily have enrolled in Medicare Part B.
Medicare essentially acts like traditional health insurance in that it pays for hospitalizations, therapy, doctor’s visits and x-rays. Medicaid can also pay for those things — but only if Medicare or private insurance doesn’t pay first. But Medicaid can also pay for things that Medicare doesn’t pay for. Probably the most commonly used example is payment for long-term care after rehabilitation ends. Medicaid will not only pay for care after a rehab stay ends, but it can also, in some cases, pay for in-home aides, transportation to and from doctor’s appointments, and several other services. In order for a Medicare recipient to be eligible for a rehab stay, there are several requirements that must be met. 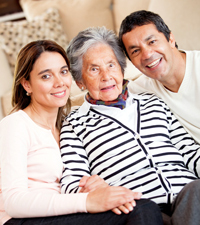 First, the individual must be eligible for and enrolled in Medicare Part A benefits. For someone who has a Medicare Advantage plan, they will also be eligible for rehab stays, but the basic rules and costs will vary from plan to plan. For Medicare Advantage enrollees, it is very important that they be familiar with all of the plan’s features because there is a wide difference between plans. Second, the individual must have been admitted to the hospital for three consecutive days. Just because an individual was at the hospital doesn’t necessarily mean that the person was admitted. And, many times, when an individual first goes to the hospital, they are under observation, which does not count towards the three-day requirement. Next, as you leave the hospital, the doctor must agree that you either need some type of therapy (speech, physical, or occupational) or have some other skilled need (such as intravenous injections or certain types of wound care). Medicare will pay for most of the costs of someone who has a 3-day hospital stay and then needs to go to skilled nursing for some type of therapy or other skilled need to fully recover. The thought process is basically that Medicare will pay to help someone get better. However, once that person has either recovered, or it becomes apparent that continued therapy will not lead to that person’s recovery, then Medicare stops paying. Medicare will also stop payment if the rehab stay lasts longer than 100 days for any one spell of illness. More often than not, however, elderly individuals who enter into nursing homes are unable to recover, and Medicare stops paying. Rehab stays fall under Medicare Part A. However, it is possible to get some things paid for in a skilled nursing facility to be covered under Medicare Part B, which is a totally separate set of benefits. An example of this is when an individual who is benefiting from physical therapy but has completed his 100-day stay under Part A can still get the costs of his therapy covered under Part B, even past the 100 days. Even though the therapy is covered, there will still be charges for the room and board that the patient is responsible to pay. If someone completes the rehab stay, then they will either become a private-pay resident or, if they qualify, they can receive Medicaid benefits. Clearly, when Medicare stops paying for needed care and the patient becomes a private-pay resident, there is a tremendous financial burden placed on the family. We have helped hundreds of families in this situation find the best possible care given the circumstances while protecting assets in order to prevent spousal impoverishment.